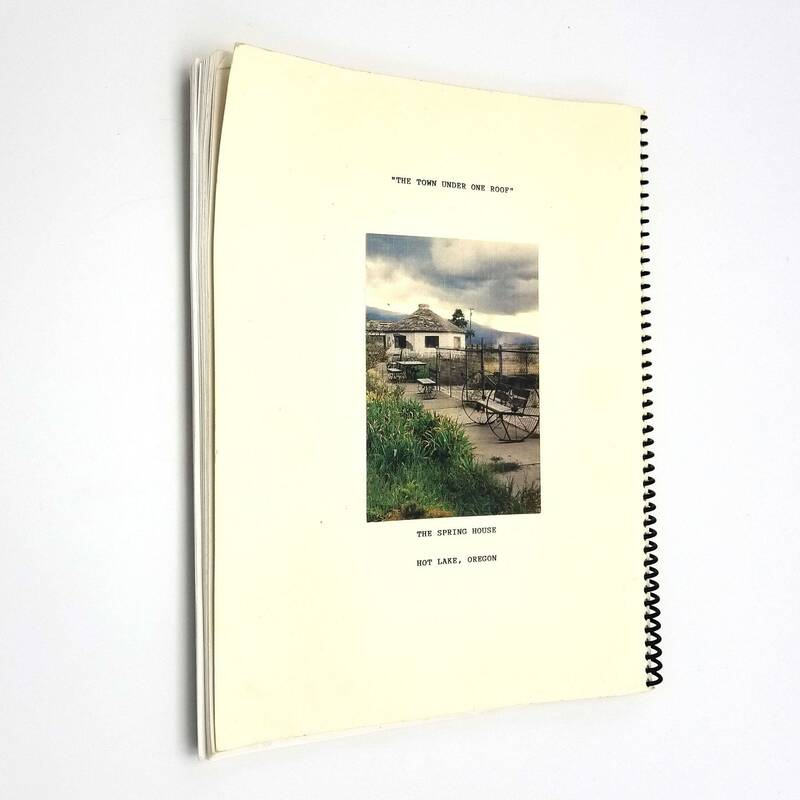 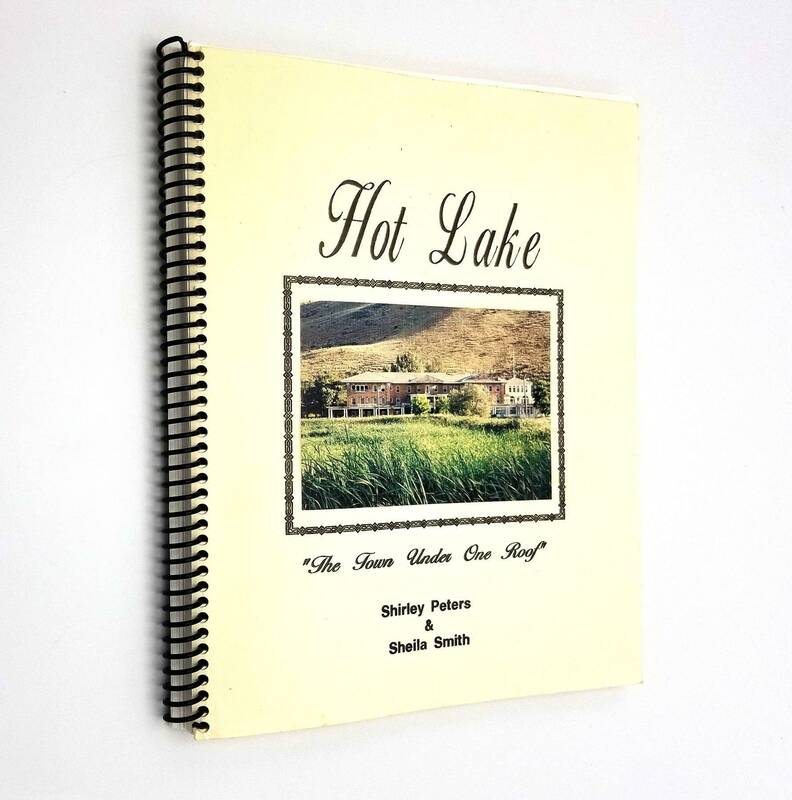 Title: Hot Lake: "The Town Under One Roof"
Description: Spiral bound book has light edge wear with a tiny bit of bumping at the corners; light crease near upper rear fore edge corner; a few pages have some underlining. 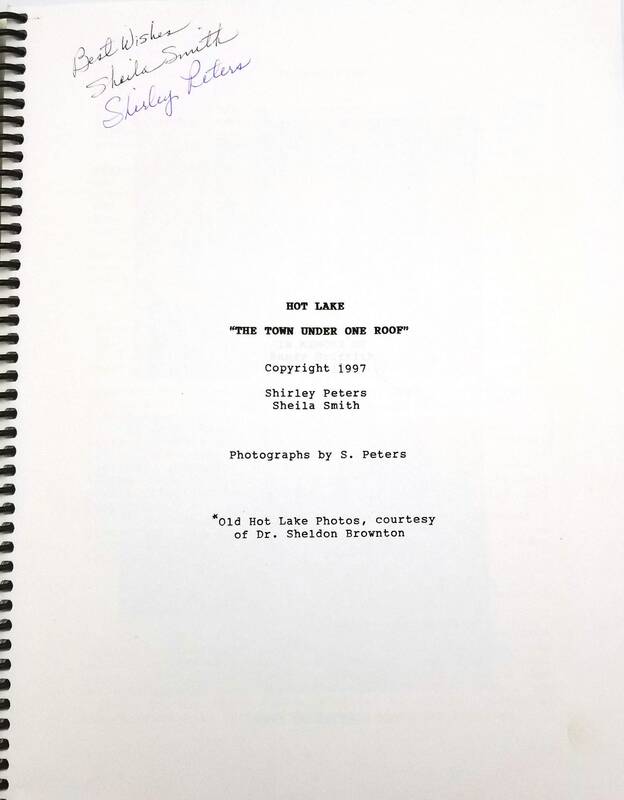 Generic inscription and signed by the authors on the title page. 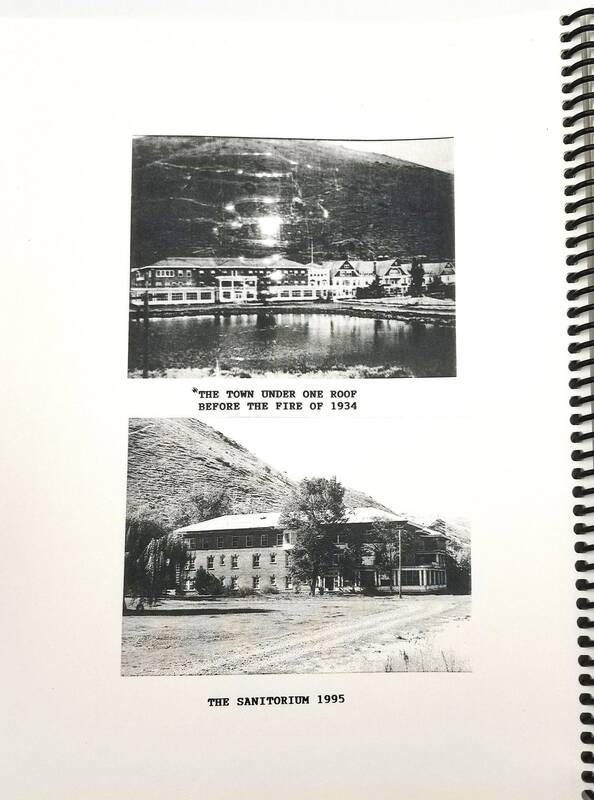 A detailed history of the town of Hot Lake, in Union County, Oregon, about 10 miles east of La Grande. 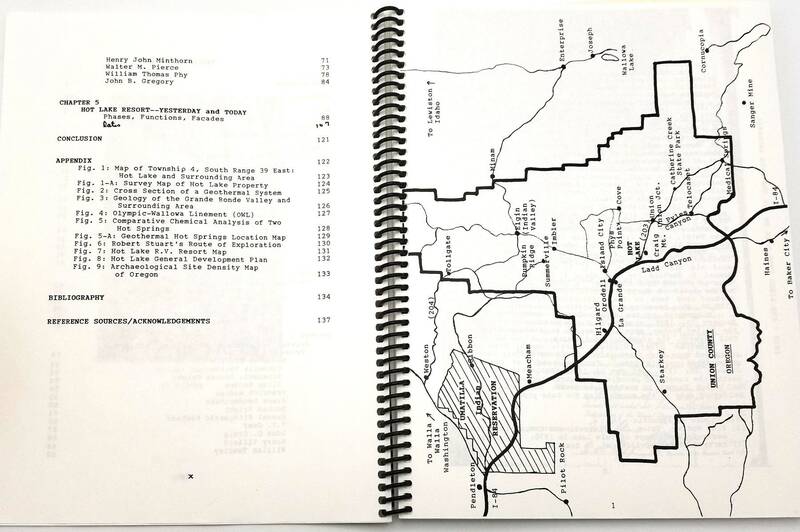 Includes the history of the ownership of the land, biographies of notable historic figures (Henry John Minthorn, etc. 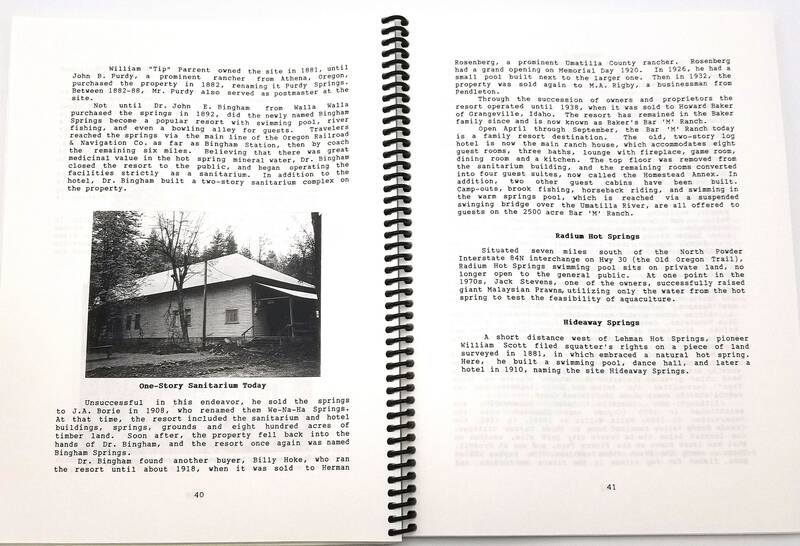 ), a section on the Indians of the Grand Ronde region, it's agriculture, the geography of the area and the many hot springs (Hot Lake Mineral Springs, Medical Springs, Craig Hot Springs, Cove Warm Springs, Lehman Hot Springs, Bingham Springs, Radium Hot Springs, and Hideaway Springs), as well as a current look at Hot Lake. 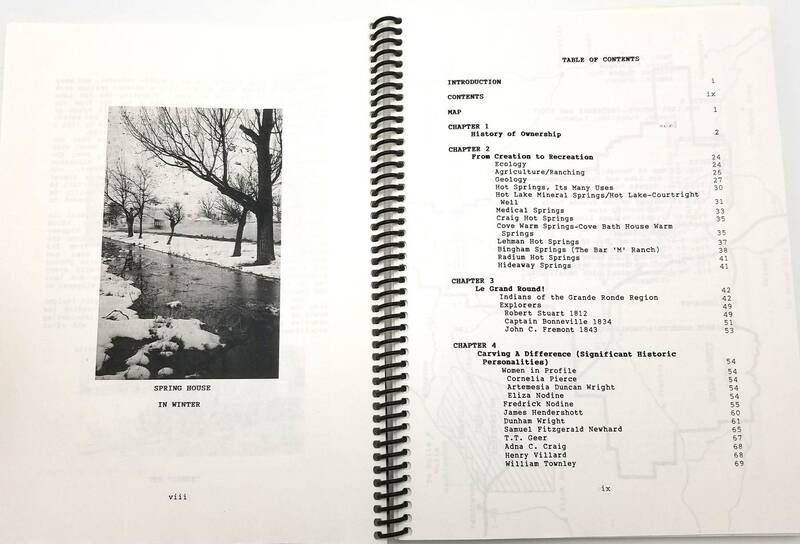 Also includes a bibliography, references, maps, plats, and many b/w photographs.